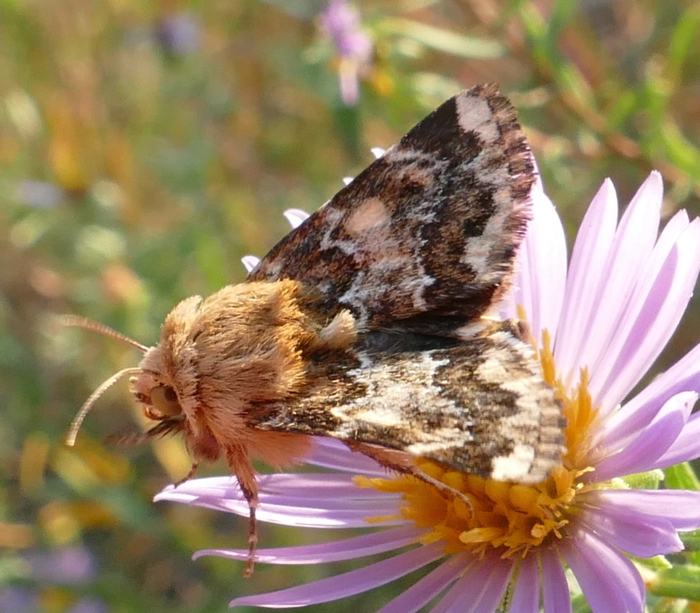 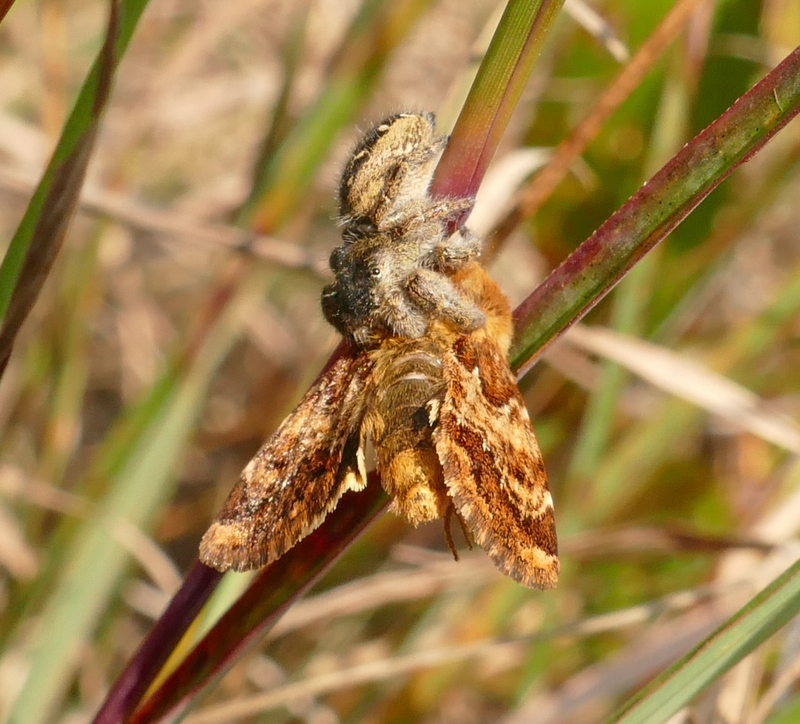 I found 6 or 8 of these moths on one bunch of Aromatic Aster plants on Sumac Prairie – our largest, steepest dry prairie remnant on 9/18/2014. 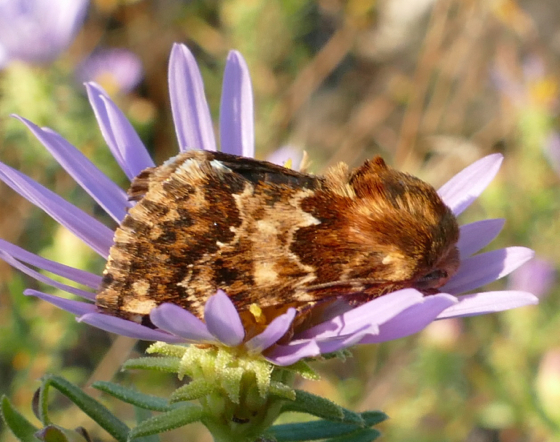 Most were resting in the centers of the flowers; one was actively nectaring. This is the bunch of plants where I found them. 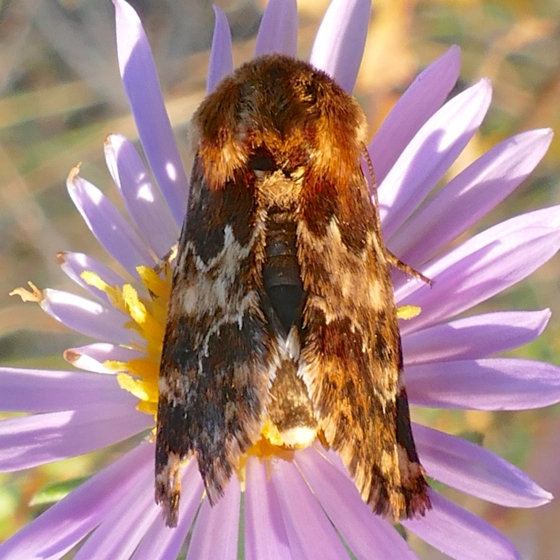 I took this photo before I realized the moths were there. 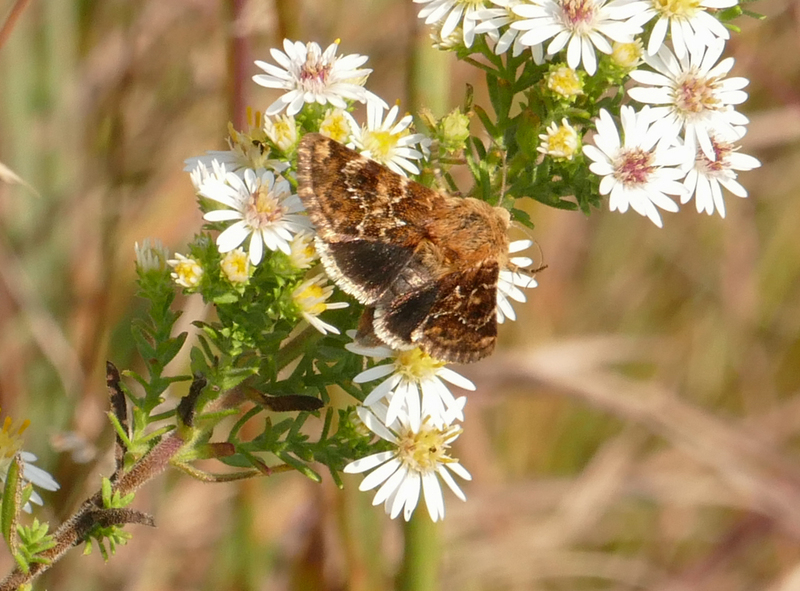 There’s one moth in the center of one of the flowers in the center of the photo – pretty well camouflaged. I went back several times and found caterpillars inside the flowers. 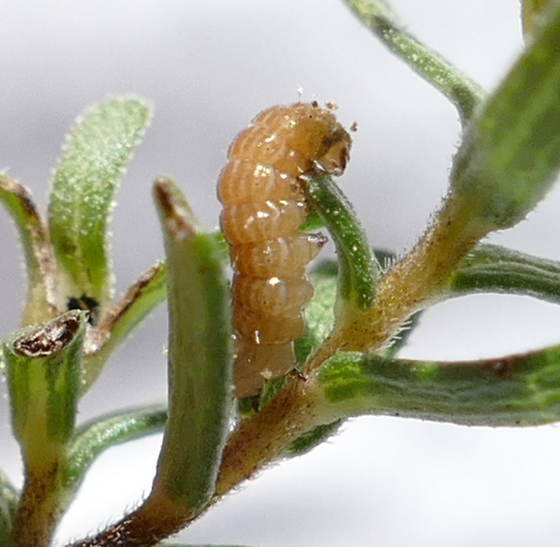 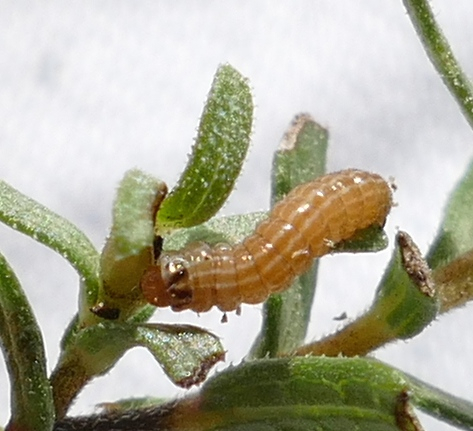 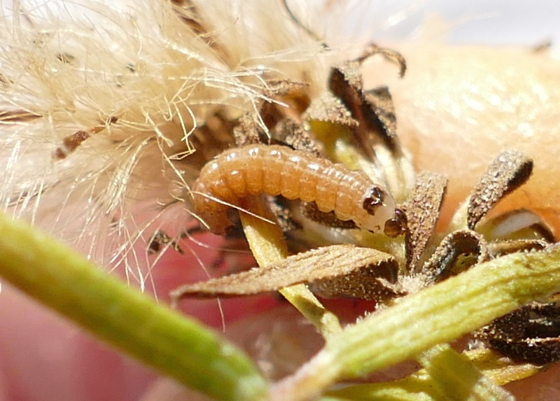 10/9/2014 This caterpillar was curled up in the space where the seeds were. 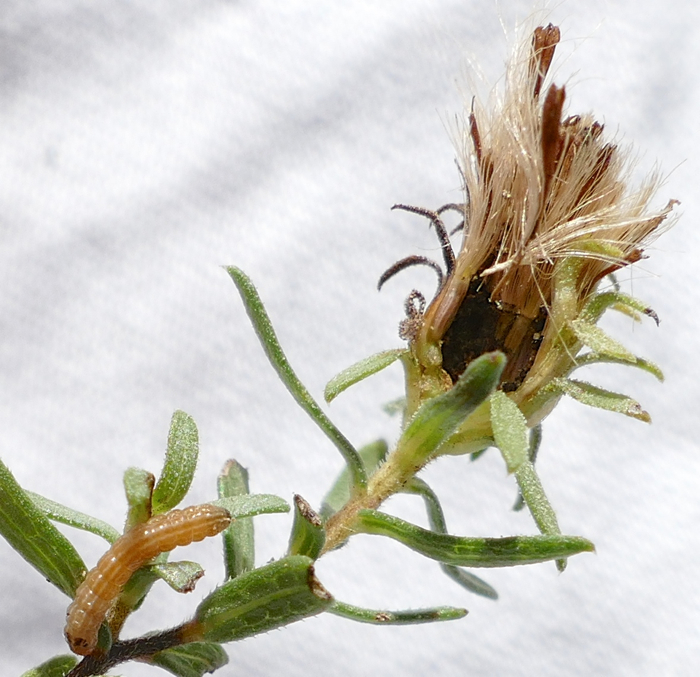 When I pulled the flower apart, it uncurled itself and crawled down the stem, away from the flower. 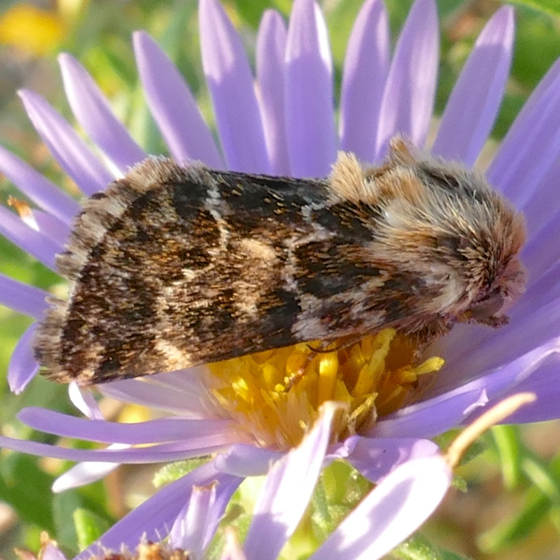 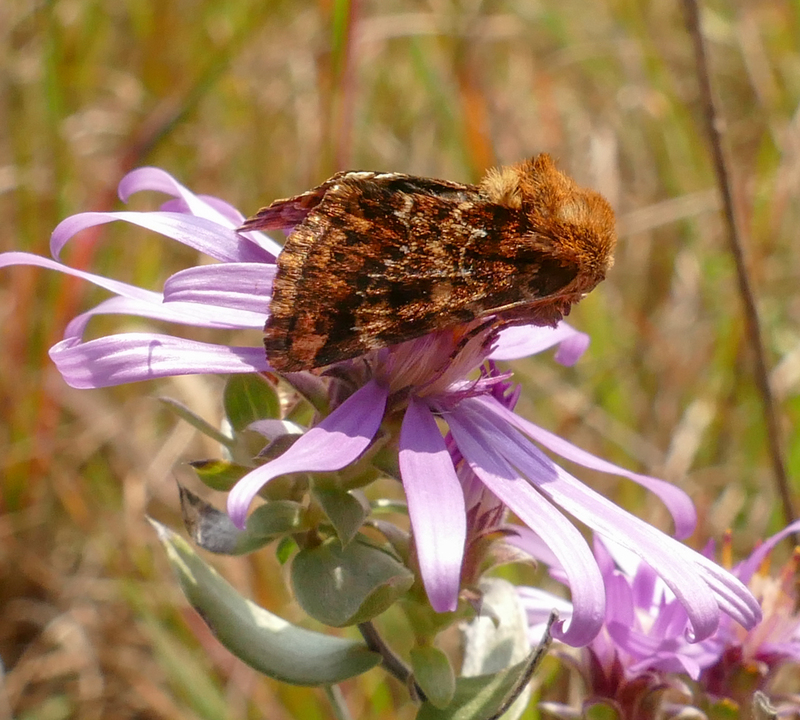 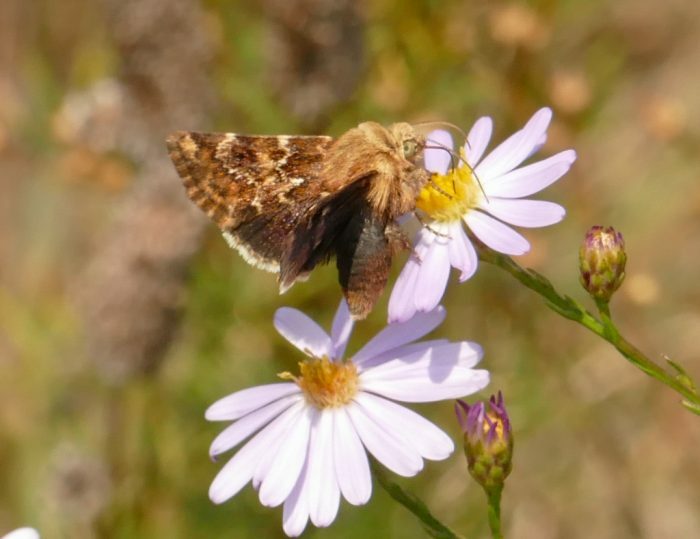 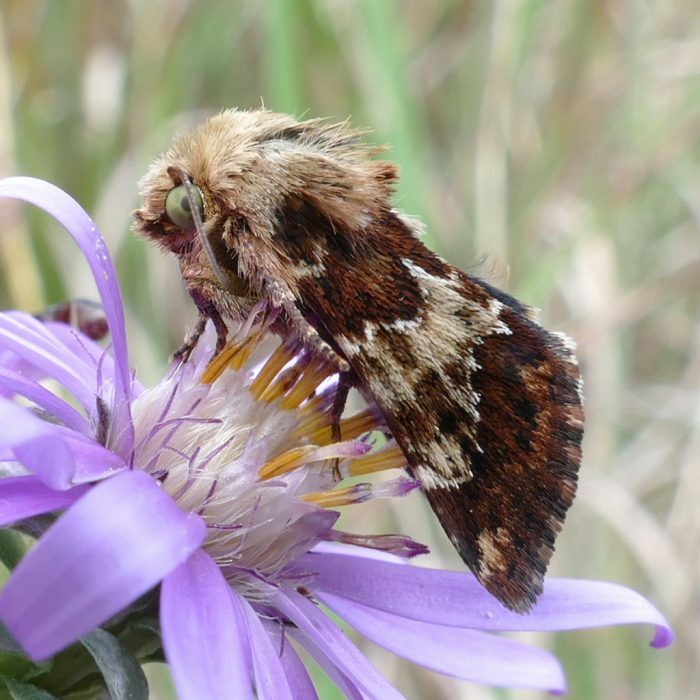 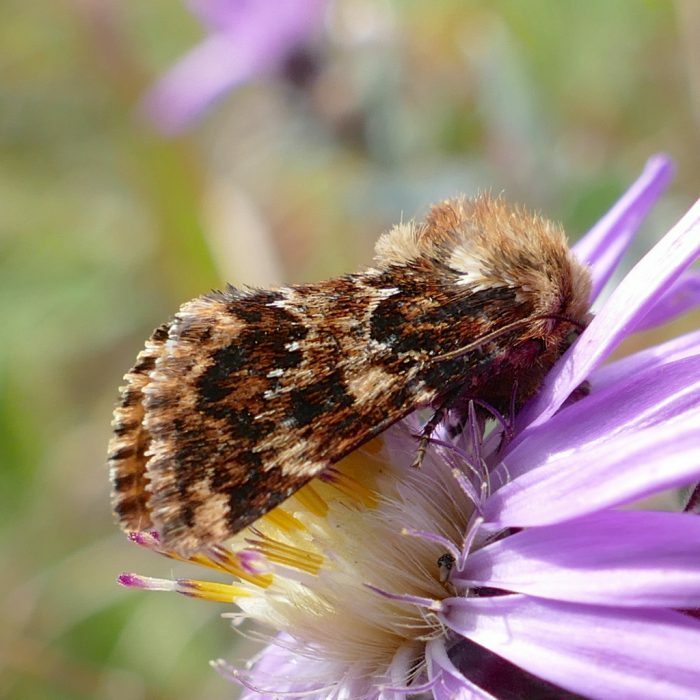 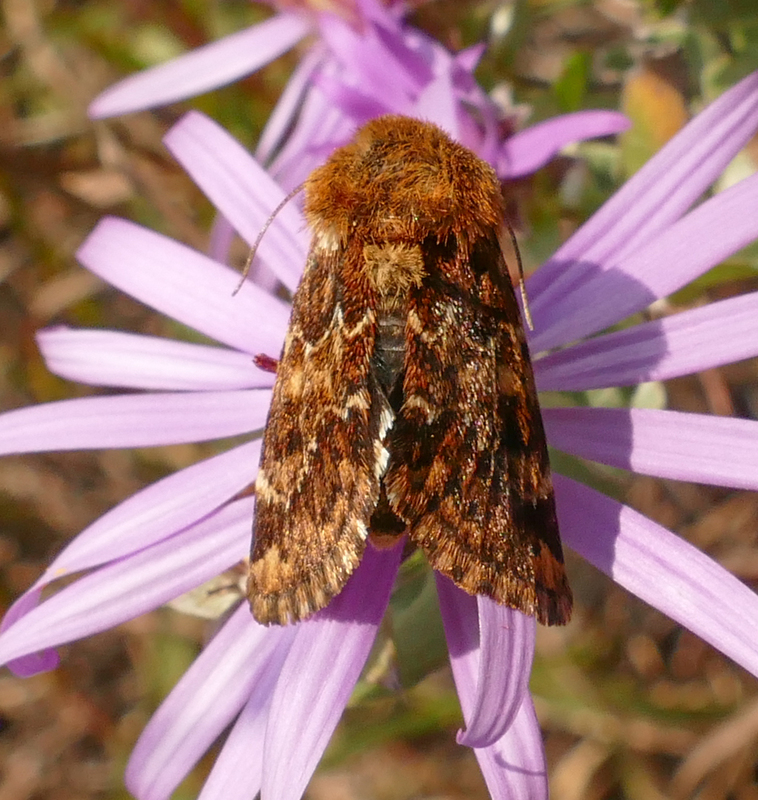 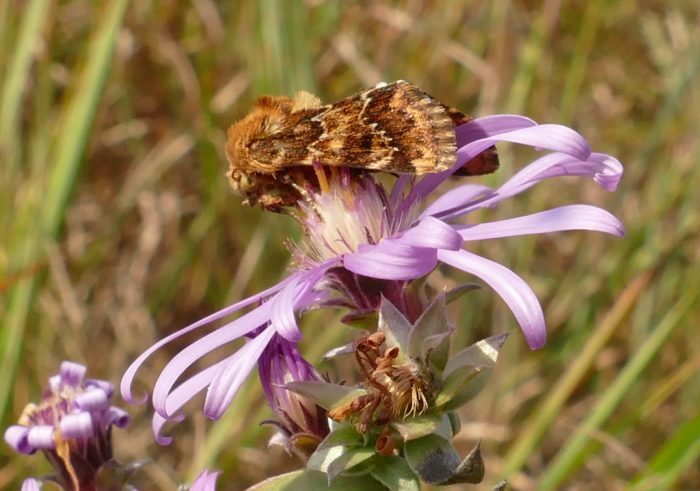 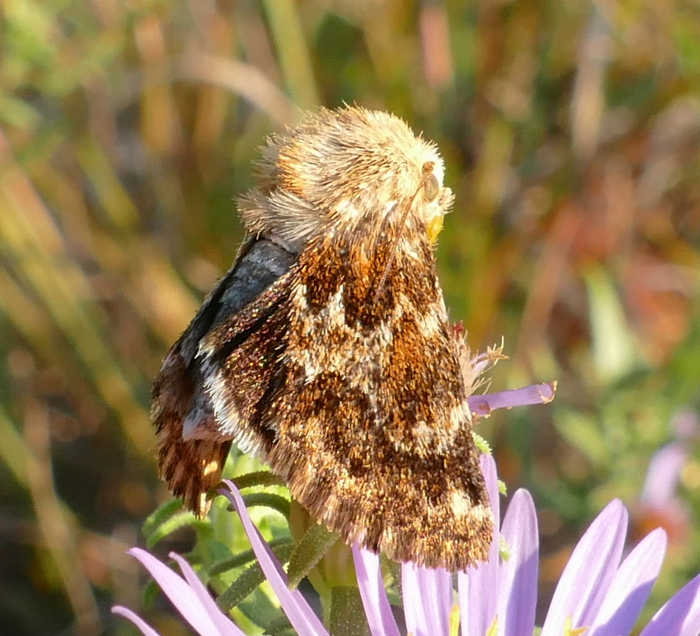 9/10/2016 – I found 3 or 4 moths on Silky Aster (Symphotrichum sericeum), also on Sumac Prairie. 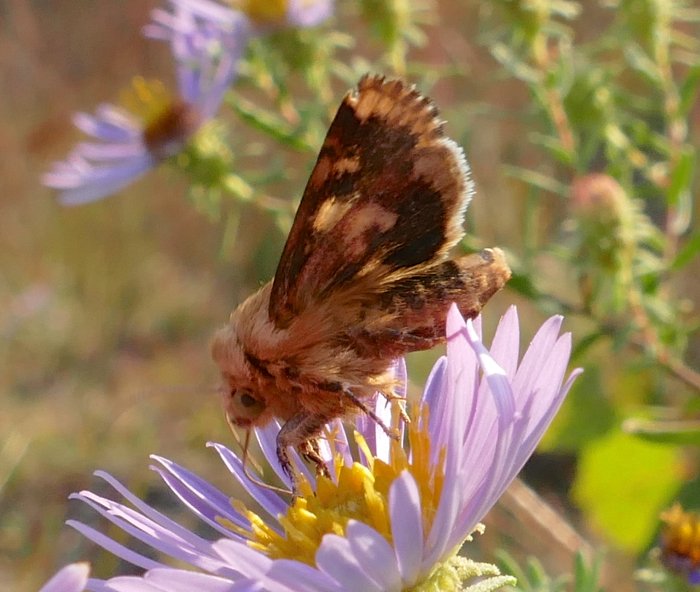 Two were resting on the flowers, so I got photos. 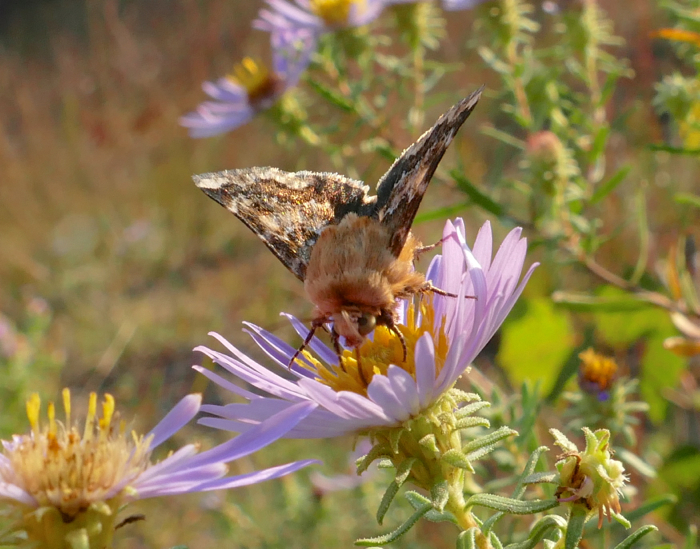 One (or maybe 2) were nectaring and not stopping for photos. 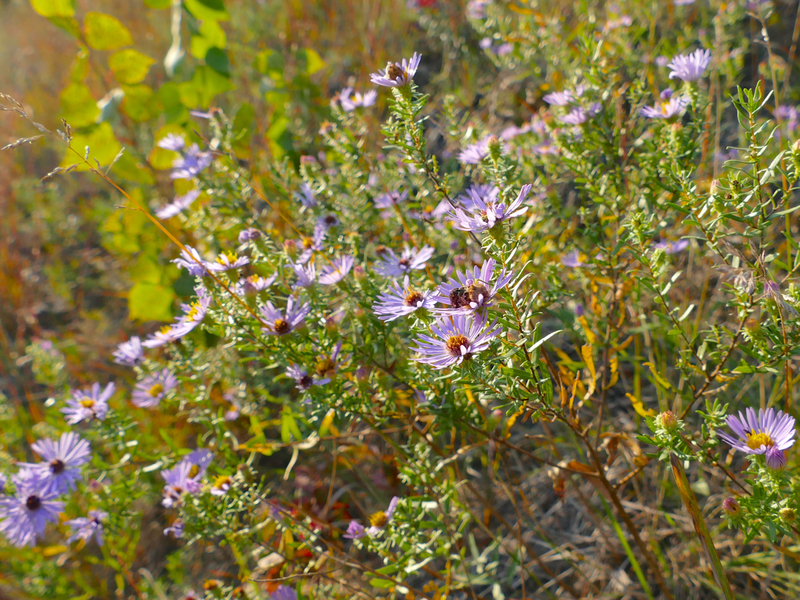 9/10/2017 I hadn’t seen them nectaring on anything but purple asters before. 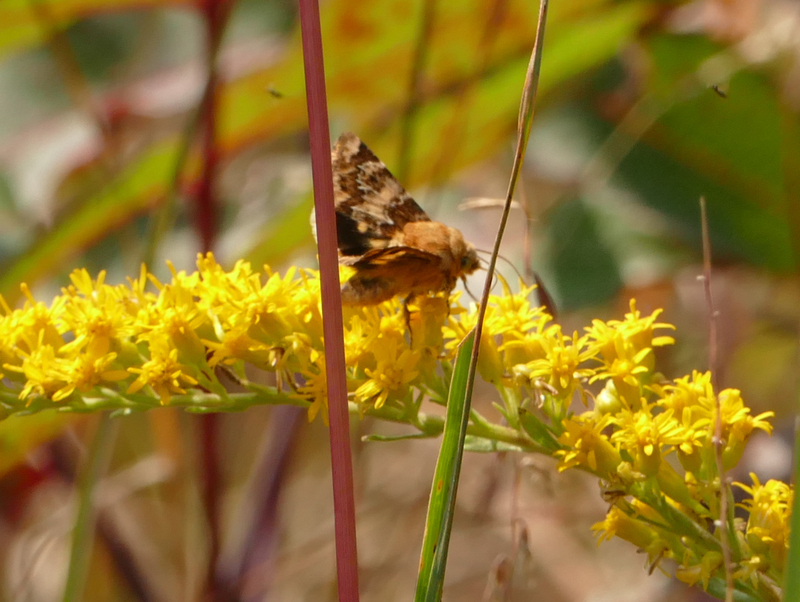 This one is on Gray Goldenrod.